In a recent move by Washington to stunt economic growth, Washington agreed to a two-step strategy. The first step involves Fannie Mae bringing back low and no money down mortgages. The second step would be to discourage business loans. A few weeks ago, Mel Watts, the Director of the Federal Housing Finance Agency, discussed plans to bring back low down payment options for government backed mortgage loans. In some cases, allowing down payments as low as 3%. Mr. Watts also suggested other initiatives to expand credit that critics fear may lead to another real estate boom and bust scenario. Additionally, the banking regulators and the Federal Reserve just approved new rules for “private” mortgage-backed securities. The proposal wouldn’t require underlying loans to have any down payment at all. In an ironic twist, the 2010 Dodd-Frank law was enacted to ensure that everyone has “skin in the game”. However, with the new rules enacted by regulators, it would seem no one is required to have any skin in the game. The new rules will allow borrowers to put no money down and will also allow them to have high debt-to-income ratios – as high as 43%. The new rules will allow creators of mortgage-backed securities to bundle pools of the above-mentioned loans and sell them on the secondary market without having any risk of credit. Without any reform, investors would be duped into believing the risk isretained by the mortgage bond sellers and that these mortgages are safe. In yet another part of the new rules, regulators forced risk retention for so-called leveraged loans. These loans are made by banks to heavily indebted companies. They do carry the risk which does not disappear when loans are bundled together. These bundled loans are what is termed collateralized loan obligations (CLO). What is even more surprising is that with these loans regulators mandated a 5% credit risk retention on the buyers of these loan pools. While leveraged loans didn’t have anything to do with the financial crisis, the Fed’s reasoning for discouraging risky business loans is twofold. Along with the Fed’s campaign justifying “risk retention”, the new regulations may offset distortions in the credit market from experiments in monetary policy engaged in by the Feds. Nevertheless, some experts believe the solution to all this would be to start raising rates for everyone, and not just certain classes of assets. Another thing would be for judges to make certain provisions of Dodd-Frank are not applied o CLO managers in ways not intended by Congress. The above should give the new congress something to think about, and the incentive to re-write certain provisions of Dodd-Frank, beginning with the repeal of the provisions regarding “risk retention”. 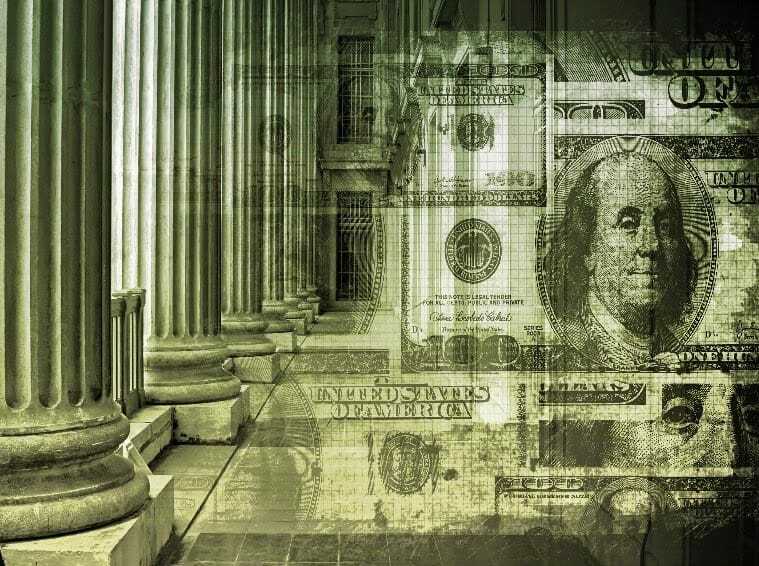 As regulators continue to enact rules making business loans more difficult to obtain, Capstone Capital Group, LLC has the solution. Capstone has been assisting small to mid-sized businesses for years. They can help your business obtain the necessary working capital you need to help sustain and grow during uncertain economic times. This is accomplished without all the red tape you would normally get from most banks. Capstone specializes in Purchase order factoring, Single Invoice Factoring (“Spot Factoring”) and is geared towards firms in need of immediate cash. Spot Factoring is an alternative to business financing in that it provides no contract invoice selling, with flexible terms, in exchange for working capital from Capstone Capital Group. Give Capstone Capital Group a call today at (347) 821-3400 to find out how we can help your business grow and succeed.